Numbers of anti-Semitic incidents are reaching historically high levels in Austria, according to a Jewish organisation concerned by the numbers of Muslim migrants. Anti-Semitic incidents in Austria grew by 82 per cent between 2014 and 2015, according to the Jewish community representative group Israelitischen Kultusgemeinde (IKG). 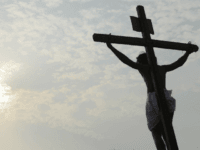 The report presented by the IKG was collated by the non-governmental organisation ‘Forum Gegen Antisemitismus’ (Forum Against Anti-Semitism), reports the European Jewish Press. 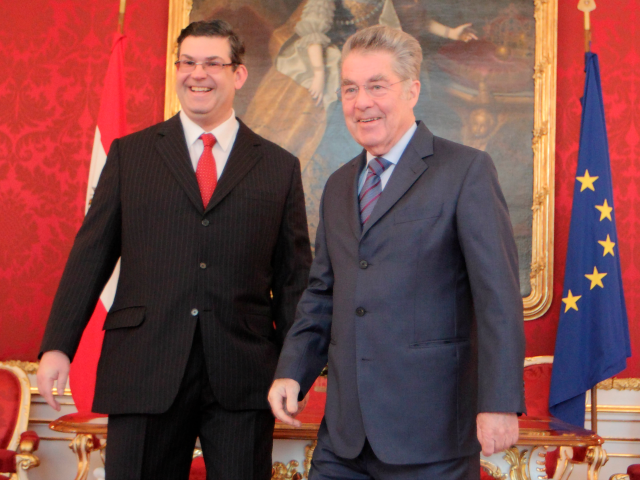 Oskar Deutsch (pictured above, left, with President of Austria Heinz Fischer), who is President of the IKG, stated that the significant increase in anti-Semitic incidents — from 255 in 2014, to 465 in 2015 — is partly accounted for by the large growth in online denunciations of Jews, especially Islamic authored anti-Semitic remarks. An interior ministry spokesman said that while the total number of internet postings reported as offensive to Austria’s constitutional protection authority was stable in 2015, the number of such postings liable for use in criminal proceedings doubled from the year before, reports Reuters. The European Union Agency for Fundamental Rights has urged the leadership of the politico-trading bloc and its constituent member states to increase efforts to combat anti-Semitic cyber hate, warning that anti-Semitism in Europe does not show signs of diminishing. The IKG’s General Secretary for Jewish Affairs, Raimund Fastenbauer, conceded that it is hard to say for certain who is committing some anti-Semitic acts, because offenders are not always identified and internet postings were overwhelmingly anonymous, but said there was a clear trend of increasingly hostile behavior against the estimated 17,000 Jews living in Austria from Muslims. Mr. Deutsch, who described the report as “terrifying”, called for efforts to tackle Muslim anti-Semitism in Austria using better integration of migrants. “The Islamists and Nazis attacking Europe’s Jews hate you too.